Scientists claim that approximately 65 million years ago the Earth was hit by a huge rock, approximately 6 miles accross, coming from space. The crater caused by the blast is supposed be over 100 miles in width and according to experts the energy it released was 100 trillion tons of TNT. This power is over 1 billion times the power of the Nagasaki and Hiroshima atom bombs. 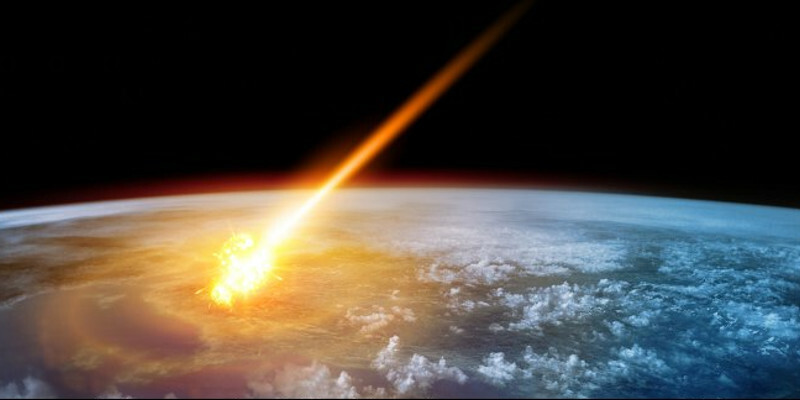 The result of the blast was the extinction of about 75% of the species inhabiting the Earth, including the dinosaurs. When the giant rocks (asteroids) hit the earth with approximately 10-20miles per hour the kinetic energy from the asteroid became explosive energy which resulted in a layer of dust, rocks and soil not only in the atmosphere, but into space which later fall back on the top of the atmosphere. This left the earth without sunlight for several weeks which caused a disturbtion in the food chain, because a lot of plants have died. According to new hypotheses the huge blast may have sent large rocks from the Earth to Mars and Europa – the satellite of Jupiter. Scientists believe that rocks bigger than 3 meters have traveled all the way to Mars and Jupiter’s satellite Europa packed with various living species. Thus, researchers suggest that any forms of life are found on other planets and their satellites we shouldn’t assume their origin is independent because they may have come from the Earth. The research and debate of such hypothesis continues.